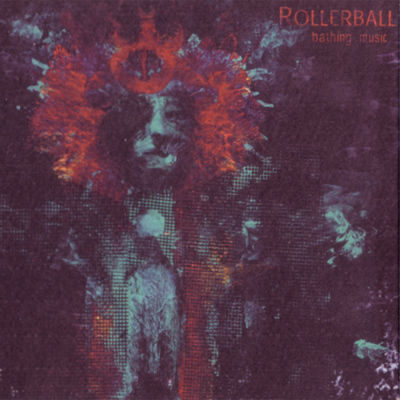 RLLRBLL (RollerBall) caught my attention with their latest release on Silber Records, titled ‘Bathing Music’, and the playful diversity of the music on it. Opening with the shady, minimalist ‘Cockfighter’, the members of RLLRBLL send their prolific tentacles all over the place, be it to a mystic bar-Jazz tune, passionate, twirling psychedelica, primitive dub or other, even stranger endeavors. This might sound like a mess, but it makes perfect sense when put together on RLLRBLL’s album. The wonderfully broken ‘Wyoming’ puts sense in every other track on this album. RLLRBLL’s conceptual glue to all of this is the smoky, dark and sincere skeleton of each of these nine songs. I read the term ‘Post Cabaret’ while getting information about this band, and perhaps this is a fitting term. There is the atmosphere of total performance in most parts of this album, together with decadent, little twisted and even grim playfulness in these songs, as two singers, female and male, compete and complete each other perfectly. If ‘Wyoming’ reminds a little of “A silver mt. Zion’, it only serves as a point of equilibrium between the twisted synagogue/crack house music mutant that is ‘Osceola’ and the sludgy trip hop that is ‘As ever gone and wasted’. When it ends, there’s this feeling like you just came back from a trip around the dreamy side of the moon and can tell the story. RLLRBLL made sure it’s gong to be a good story, so I guess I just had to tell it.